When you hear the term, “drug charges”, you may envision a dealer distributing illegal narcotics like marijuana, crystal meth, heroin, cocaine or crack. However, many people are subjected to criminal charges for allegedly possessing and distributing prescription drugs. Florida is well versed in prescription drug issues given the fact that pain clinics in the state prescribe more oxycodone pills than any other state in the country. In fact, doctors in Florida prescribe 10 times more oxycodone pills than any other state, according to NPR.org. People travel from other states to visit these pain clinics. This may be why Interstate 75 has become known as “Oxy Express,” according to the aforementioned NPR article. If you or a loved one is facing prescription drug charges, you need to speak to an experienced Winter Park prescription drug defense lawyer. The penalties associated with a drug charge conviction can be life-crushing. For example, if you are in possession of at least four grams of certain prescription medications illegally, you could be charged with drug trafficking. This is a serious crime carrying a mandatory penalty of at least three years in state prison (though the sentence could be longer; up to 15 years) and a monetary fine of between $50,000 and $250,000. If you are facing charges for illegally possessing prescription drugs, but can prove you have a prescription, the charges can (and should) be dropped. A valid prescription drug order must be based on a valid patient-medical practitioner relationship, and must include specific information, as well. Altering any part of a prescription drug label to cause it to be misbranded or mislabeled. 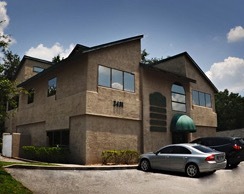 Under Florida law, obtaining a prescription drug through fraud is categorized as a third-degree felony. This means a conviction is punishable by up to five years in prison and a monetary fine totaling $5,000. 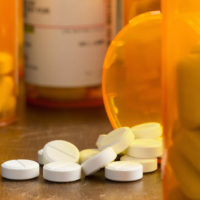 If you or a loved one was charged with prescription drug fraud or any other prescription drug crime, contact the experienced Winter Park defense attorneys at Cotter & Zelman, P.A., and schedule a free, confidential consultation.